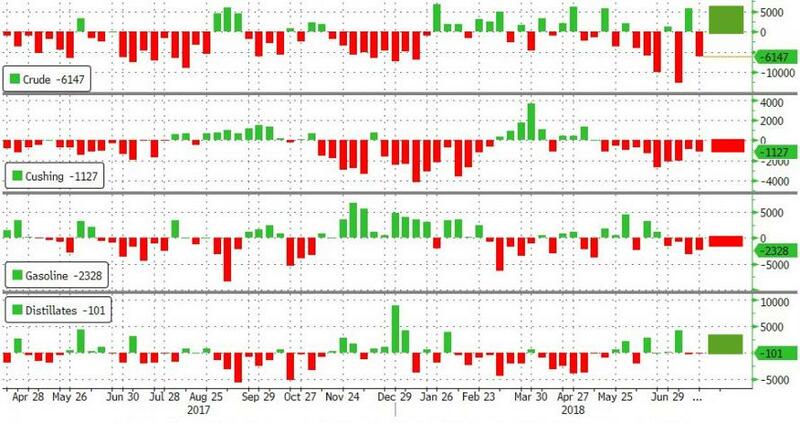 Having posted its biggest monthly loss since 2016, amid over-supply fears, all eyes are back on API tonight with bulls hoping that last week's across the board inventory draws continue... but it reported a shocking 5.59mm inventory build and WTI dropped. “It’s some of these concerns about oversupply with OPEC. 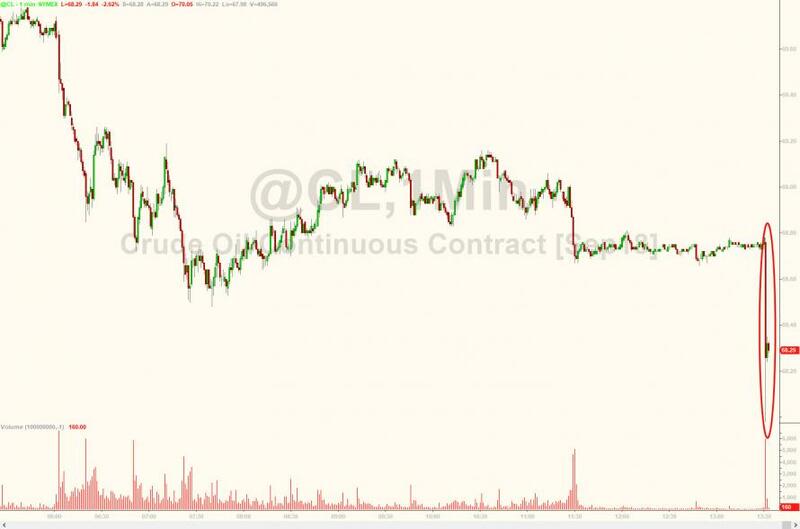 There are also starting to be concerns about the slowdown or the plateauing in demand," said Ashley Petersen, lead oil analyst at Stratas Advisors in New York.